Expand your horizons with Blooma’s professional trainings. Learn to grow as a birth professional who wants to support and empower women in their birth journeys. Continue to build on your passion, going beyond classes and workshops. Come learn and grow at Blooma. Learn to support women through each trimester of pregnancy, and postpartum. 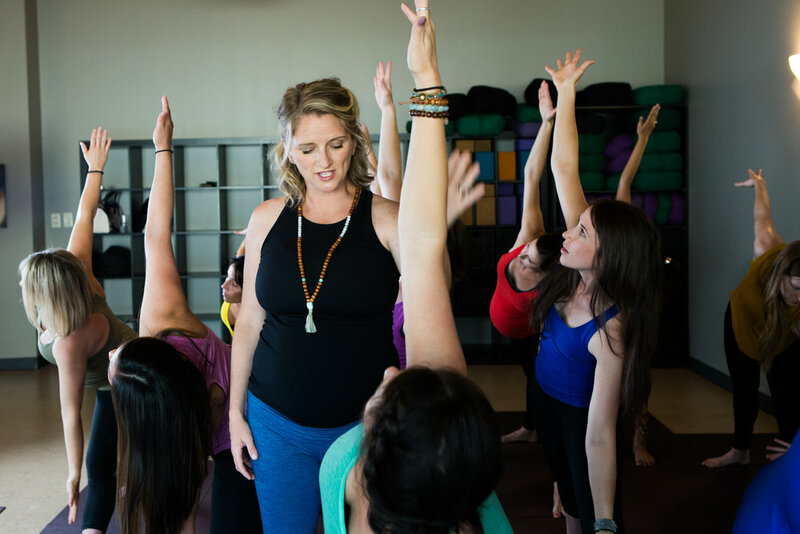 You will be trained in a sequence that is specifically designed to empower and prepare women for birth, and develop the tools you need to create your own fun, safe, and empowering sequences. Join our DONA-approved Birth Doula Trainer and learn how to perform placenta encapsulation. Participants will have a hands-on opportunity to prepare two placentas and tools will be shared for participants to build their own placenta preparation businesses. Your journey begins here at Blooma’s DONA-approved Birth Doula Training. This DONA Birth Doula training uses a diversified approach for multiple learning styles and levels. Participants will revive a balance of current research, anecdotal experience, and hands-on practice. Interested in hosting Blooma’s Prenatal Yoga Teacher Training at your studio?